Hey friends, I've got something new for you today! I'm always talking about what trending styles I'm digging in the moment and I want to expand beyond that by sharing other things I love like products that are a part of my regular routine or make-up I can't live without. Everyone has their favourites and soon you will get to know mine! Here's the thing, since I've chopped my hair I don't really like the look of it when it's straight and putting heat on it regularly obviously just isn't a good idea. That's where this texturizing mist comes into play. You can use it a few different ways but I just spray it into my hands, rub them together then scrunch it in. The solution is thick and milky looking so I find this evens out the application better plus I hate when I accidentally spray product on my face. 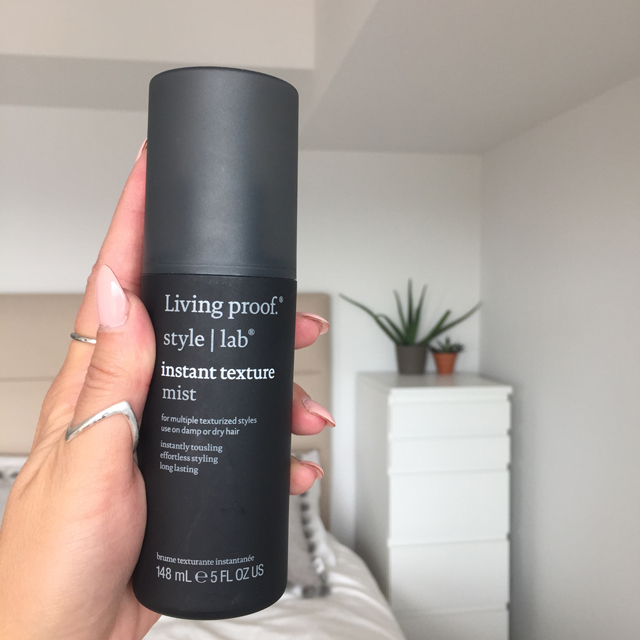 The Living Proof instant texture mist quickly gives my hair a bit of volume and helps achieve that messy, bedhead look that I personally prefer over perfectly styled hair. I like that the product separates my hair making it piecey like when you have wet hair. This may make you wonder if it feels crunchy like those days we used to style with mousse, but it's not as bad I promise. Again that's why I prefer scrunching it in rather than a direct spray to avoid clumping. 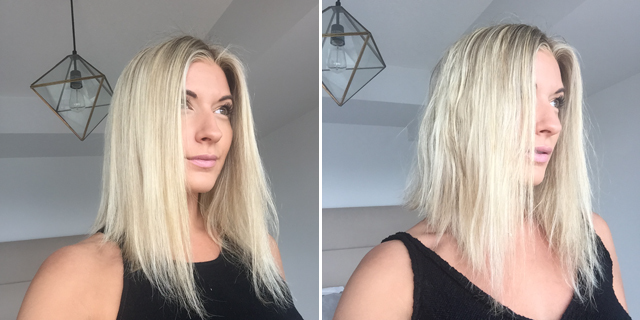 Of course the more you use the more texture you will start to get but it's much softer and yet still strong enough to hold the style all day. 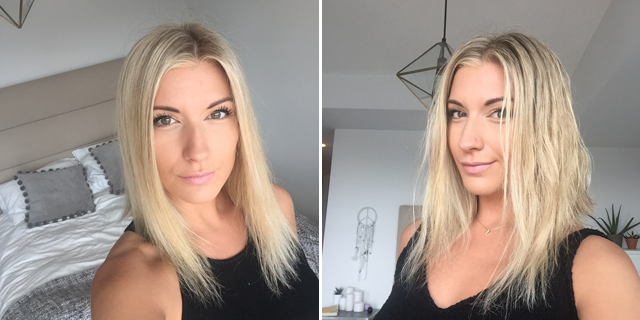 You can check out a few before and after pics of me using the product on my hair. 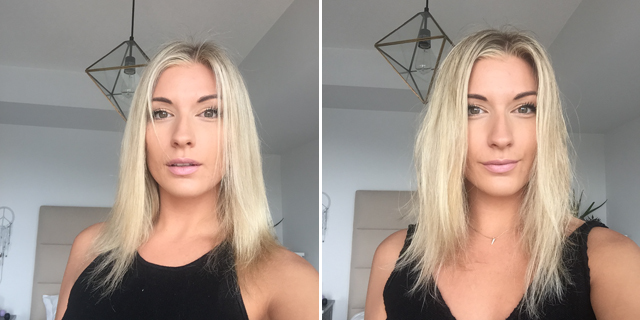 On the left is my hair freshly blown and on the right I've scrunched it in. It's worth a shot if you like the messy look too. wow,amazing! i need this !! !